Recently on a very cold clear night I made an image of the moon using my C11 telescope. Because of very good seeing I was able to distinguish lots of details. 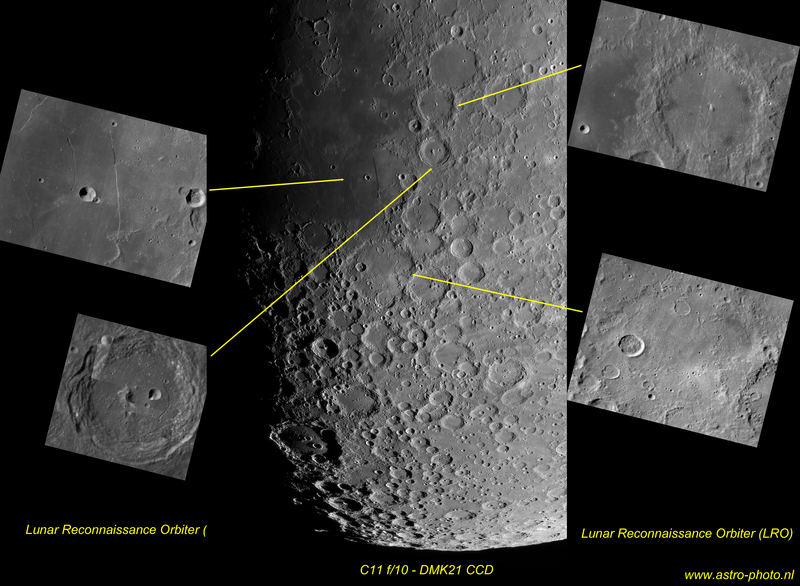 In this image a comparison is made with images made from the Lunar Reconnaissance Orbiter which is in orbit around the moon. It’s nice to look for the smallest details which are still visible in the earthbound image.